Mrs. 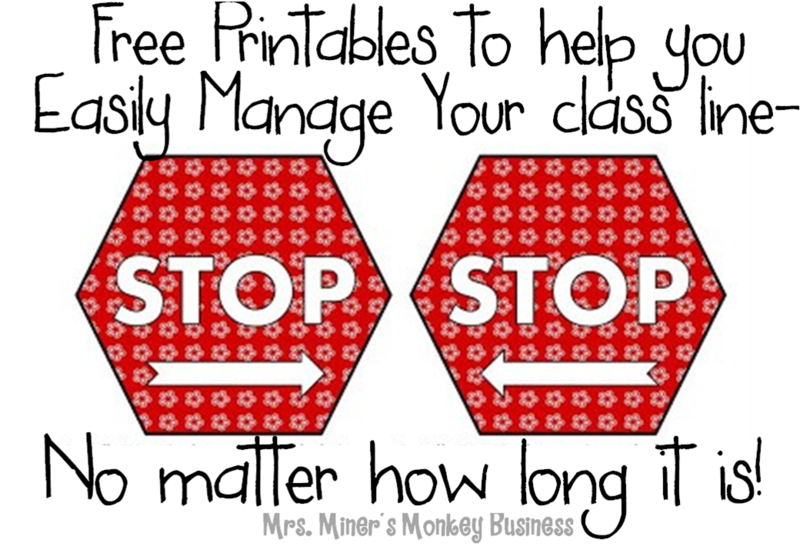 Miner's Kindergarten Monkey Business: First Day of School Tips With a Freebie to Help Implement! First Day of School Tips With a Freebie to Help Implement! 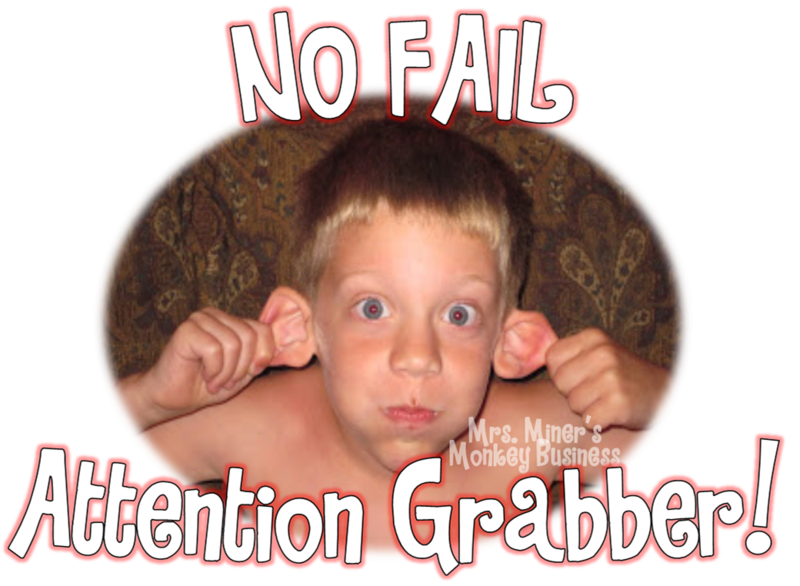 There is so much to explain and go over the first few days of school, you NEED to be able to get your students' attention quickly and this is the best way I've found how to do just that....its kind of like a NO FAIL management technique because the students LOVE to do it as much as I love the results. 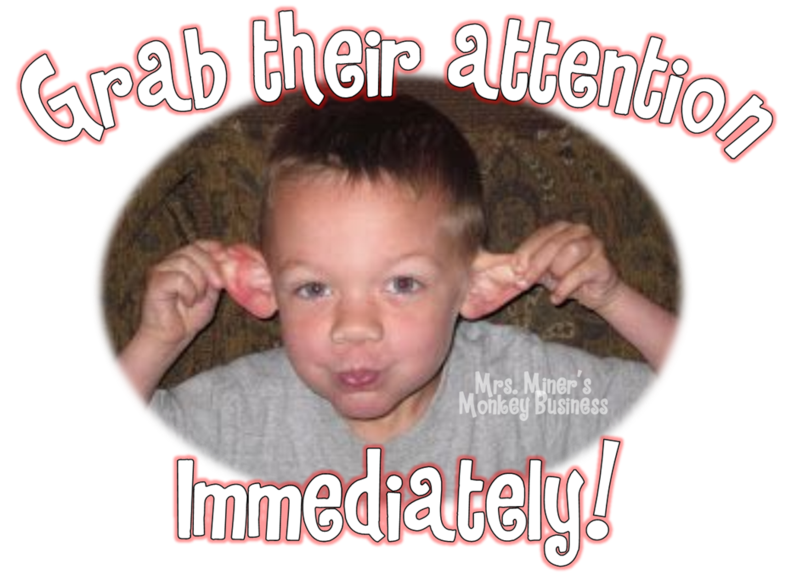 and blow their cheeks out like a "quiet" monkey (I know it's hard to believe, but these little monkeys WILL, without a doubt, try to make monkey sounds with their lips closed tight)The "Monkey Face" makes them stop touching anything AND makes them stop talking, so it is a must-do for any primary grade teacher, especially in the first few days. I also use it to walk down the halls for the first few weeks, until it is engrained in their brain that we walk down the hall quietly and without rubbing the walls (uh, gross). My last tip for the day is to OVER PLAN your first few days. You can never have enough stuff for them to do and will probably never get to all of it..but, not knowing your incoming students, you are making plans that may not work for this particular group and you need to be sure to have a back up plan ready to go at all times. Click here for the 1st day of Kindergarten Lesson Plans! LOVE THIS IDEA!! I can't wait to see their little monkey faces! Thanks for sharing! My classroom entrance is monkey themed, so this would be a perfect fit! So Cute! I love the ideas!